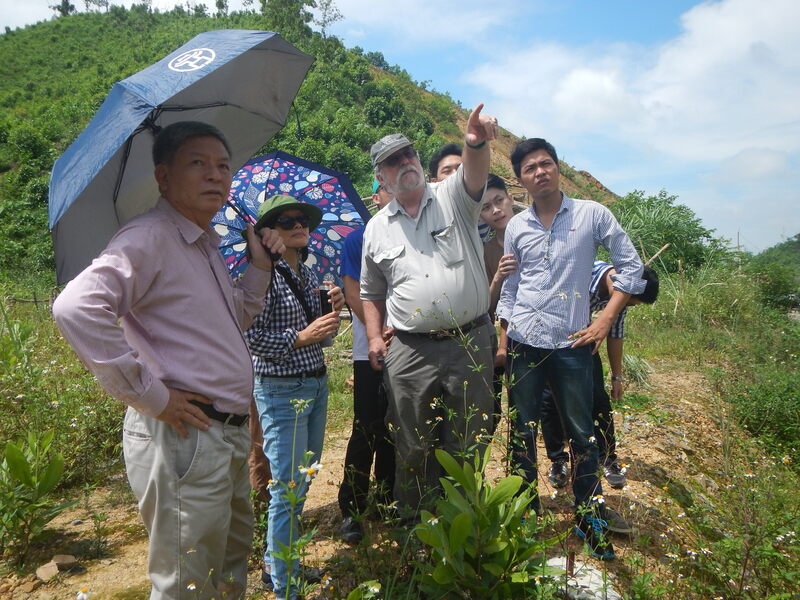 A new generation of Vietnamese engineers are being introduced to the concept of green infrastructure and bioengineering that can be used to reduce the vulnerability of infrastructure to climate change. 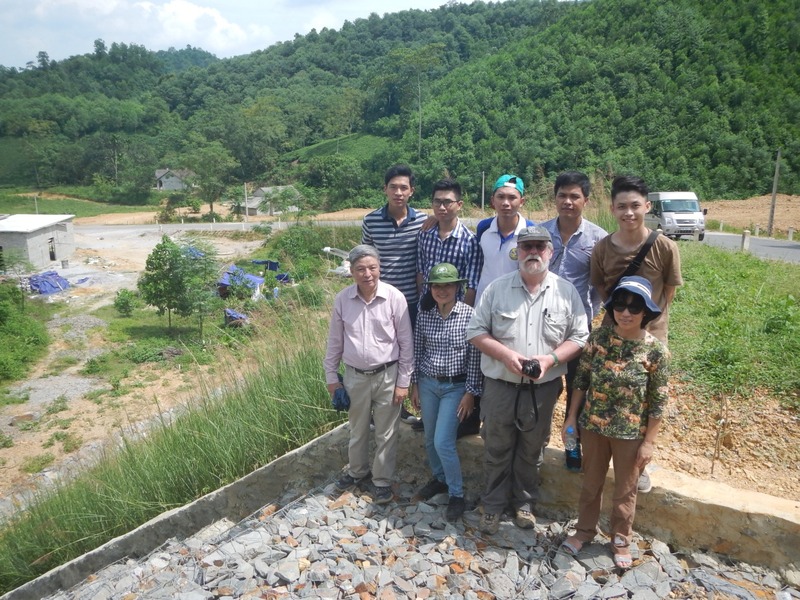 This September, ICEM team led a group of professors and students from University of Transport and Communications (UTC) on a field visit to a bioengineering demonstration site in Thai Nguyen. 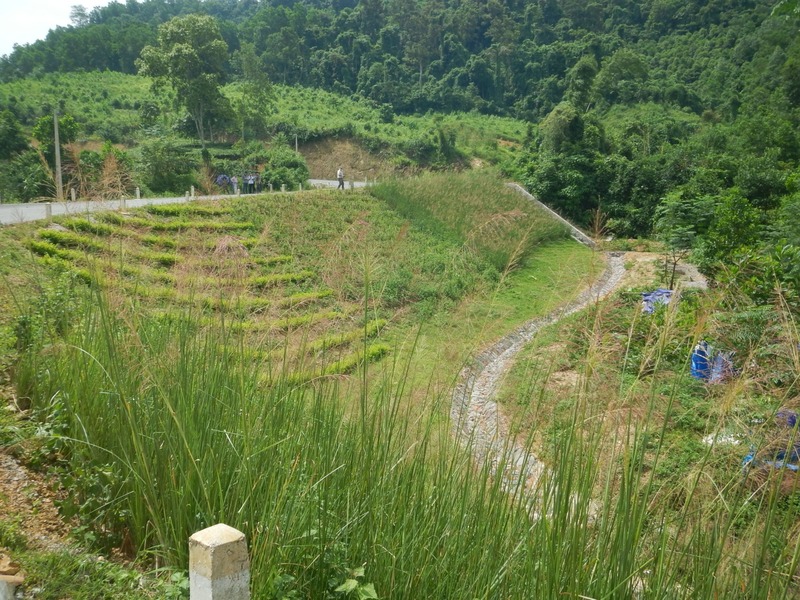 The roadside slope, located at Linh Nam – Deo Nhau Road, Vo Nhai District, Thai Nguyen Province, is one of the four demonstration sites part of the Asian Development Bank (ADB) project Promoting Climate Resilience in Rural Infrastructure in Northern Vietnam. Though construction at this site was only completed in July, it is already showing positive signs of success. 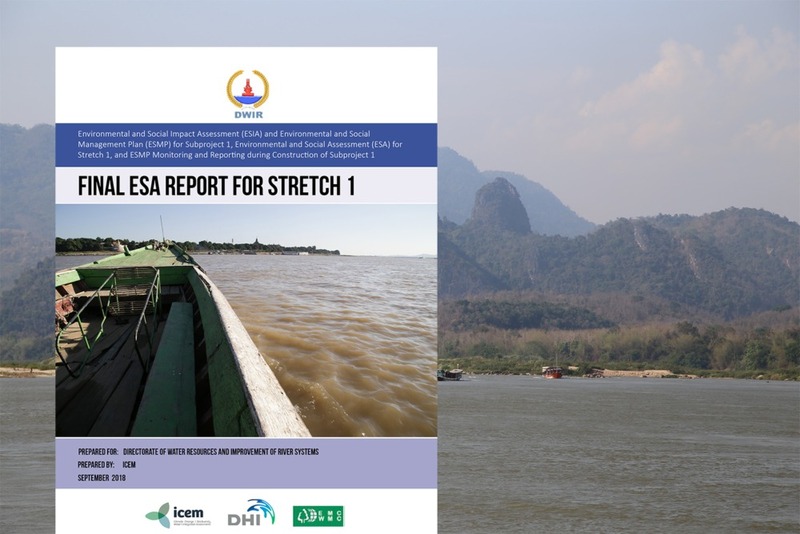 The project aims to demonstrate how low cost measures that are easy to implement can reduce the vulnerability of rural infrastructure to extreme climate events. 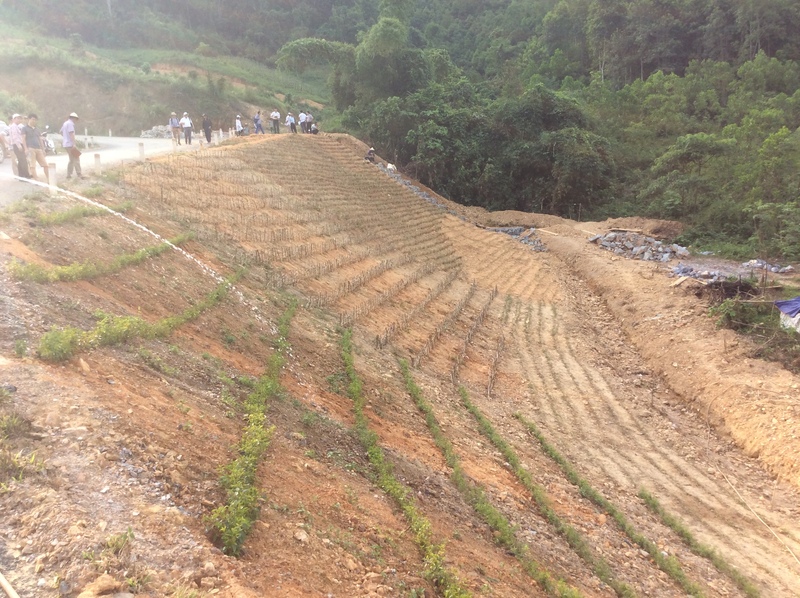 While two of the project sites demonstrate the application of bioengineering to stabilise roadside slopes, two more sites demonstrate its use to protect riverbanks against erosion. At the Deo Nhau site, two road slopes were planted with Vetiver grass, Golden dewdrop, broad-leafed carpet grass and Tiger grass and, with regular maintenance from the community, the vegetation has covered most of the soil surface. The field visit not only gave professors and students hands-on experience of bioengineering techniques, but access to experts on the topic that used the opportunity to explain the importance of the concept to the visitors. 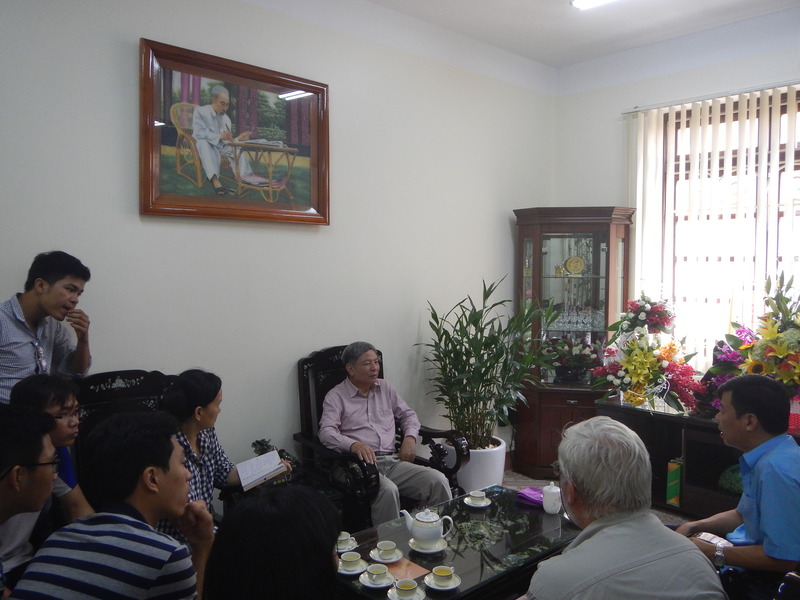 “Conventional road protection measures are very expensive while the Province’s funding is limited and the complicated geological structures make construction process longer and more difficult,” said Mr. Bui Tien Chinh, Deputy Director of Department of Agriculture and Rural Development of Thai Nguyen Province. Dr Jasper Cook, ICEM Geotechnical Engineer and Technical Trainer, provided detailed descriptions of the project and a thorough explanation of what bioengineering is, how it works, and where it can be applied. The UTC group had a chance to take a look at and learn about bioengineering techniques and materials used at different sections of the road (a cut slope and a fill slope) and could compare these with the unprotected slopes. The students now have to complete an assignment to evaluate the potential of bioengineering in comparison to conventional slope protection measures. The September visit was the first of a number of in-field training exercises. These will be combined with several lectures on bioengineering to engineering students in their final year of studies at UTC. The lectures will be presented by ICEM as part of the ADB project.